Earlier this week I appeared on CBC’s On the Money to discuss the U.S. decision to abandon net neutrality and its implications for Canada. 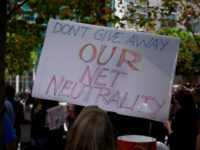 I’ve written about these issues in columns and posts, but this interview provided the opportunity to highlight the implications for Canadian business and consumers, the prospect of including net neutrality in future Telecommunications Act reforms, the connection to NAFTA, and the ongoing concerns with telecom competitiveness in Canada. The interview is embedded below.